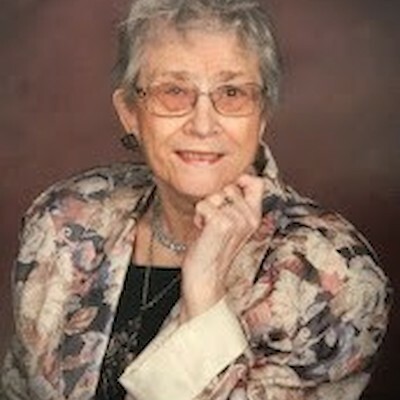 Shirley Ann Hagen Age 83, of Rice Lake, WI died Wednesday, April 10, 2019 at her home. She was born on May 31, 1935 in Chippewa Falls, WI to George Russell and Anna Clara (Kressin) Haas. Shirley was baptized on July 7, 1935, confirmed on June 7, 1950, graduated from the Rice Lake High School in May 1953 and was married to James Clayton Hagen on September 28, 1957. Shirley went to beauty school in Eau Claire, WI and worked at the Charm Beauty Shop in Rice Lake. She then worked at Lakeside Methodist Hospital as a nurses aide and also helped out on the farm when they lived in Barron, WI. Shirley was a homemaker and loved to volunteer at Bethany Lutheran Church in the office, for confirmation and the acolyte program, she also volunteered at the NW Synod of WI office for many years. She belonged to many organizations at Bethany Lutheran Church including - Bethany Circle 1, church woman, working funeral lunches, teaching Sunday school and helped out for Golden K’s. Shirley also enjoyed making cross stitch baby quilts. She is survived by her husband, James Hagen of Rice Lake; a son, SR MSGT Ronald James Hagen of Biloxi, MS; a daughter and son-in-law, Laurie Marie and Karl Runstrom of Neenah, WI; a granddaughter, Samantha Marie Sullivan; and a great granddaughter, Olivia Marie Kolb. She was preceded in death by a daughter, Susan Ann Hagen on January 7, 1966; and her parents, Anna Clara Haas on January 10, 1986 and George Russell Haas on October 28, 1998. Funeral Services will be held at 11AM Wednesday, April 17, 2019 at the Bethany Lutheran Church in Rice Lake, Rev. Grant Aaseng officiating, with interment in the New Scandanavia Lutheran Cemetery in the Town of Maple Grove, WI. Visitation will be held from 4-6PM Tuesday at Appleyard’s Home for Funerals in Rice Lake and for one hour prior to the Funeral Service at the Church on Wednesday. The family would like to thank Lakeview Medical Center Hospice, especially John Nelson RN and nurse aide, Tammy Anderson for taking such good care of their wife, mom and grandma; and to Deanna Hargrave and Kim Haynie for being so supportive for all these years.